As the Invisible Wind Factory’s latest mind-blowing event is revealed, Getintothis‘ David Hall reports on an interactive audio-visual sports party for the forthcoming armageddon. 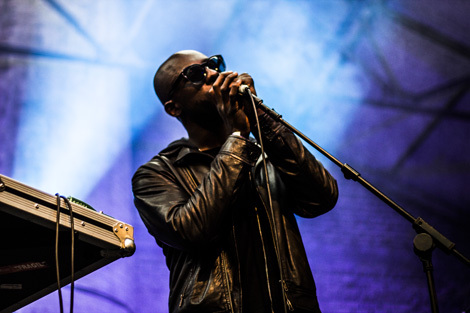 An old Kazimier favourite makes a welcome return to Liverpool’s docklands, the team behind the city’s newest and most exciting live venue the Invisible Wind Factory turn their attention to another unique proposition. With our collective future looking bleak, fuelled by political upheaval and economic uncertainty, the legendary Krunk Olympics events of days gone by will seek a new champion on the banks of the Mersey on Saturday, August 20. Presented as “an interactive audio-visual sports party for the forthcoming armageddon”, ticketholders are encouraged to don their very best personal sport attire and lock horns in the Invisible Wind Factory compound. The day will include outbreaks of competitive sport, with participants doing gladiatorial battle in the main arena, across a range of events including Rubber Dinghy Deluge, Chasm Jumping, Recession Relay and Disaster Dressage. Wrapping up with Olympageddon, the 4am finale of the show promises to go down in Krunk Olympic history. 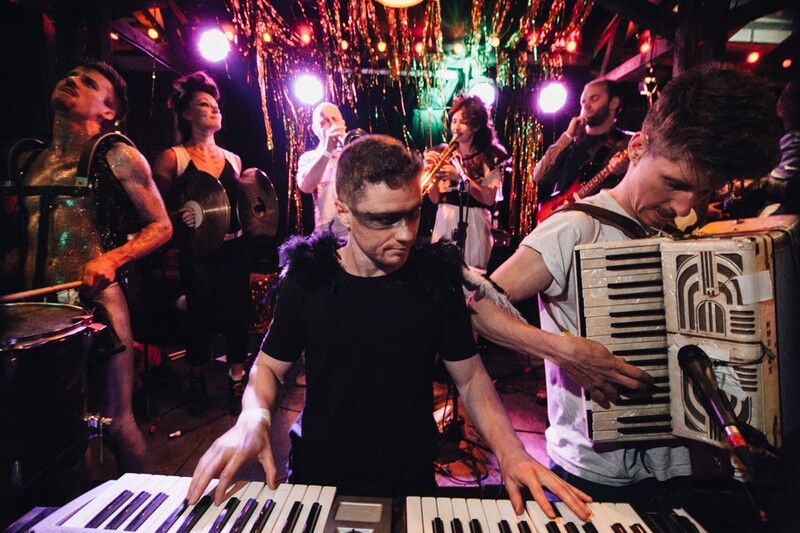 Featuring Kazimier’s in-house band Dogshow playing live, DJ sets throughout from Fringe Lifter, Mellodigy and Vinyl Silk, and with more live acts announced in the coming weeks, Apocolympics promises to be the ultimate survival challenge, testing human endurance to the limits. 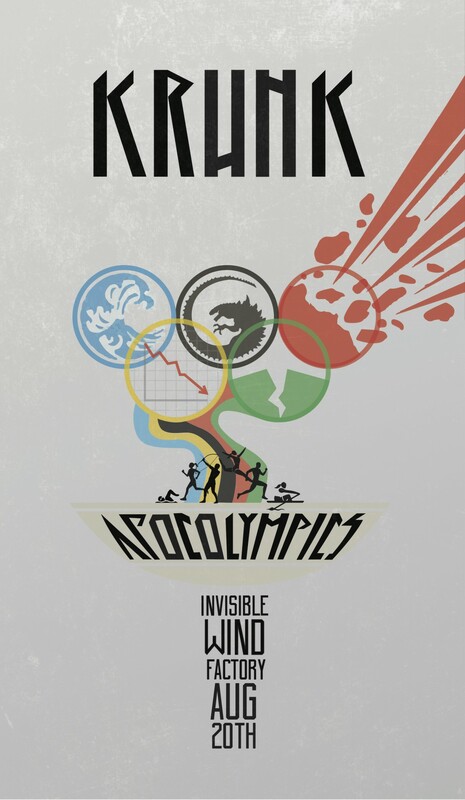 Krunk Apocolympics takes place at the Invisible Wind Factory, Saturday, August 20, doors 9pm. Tickets are on sale now.